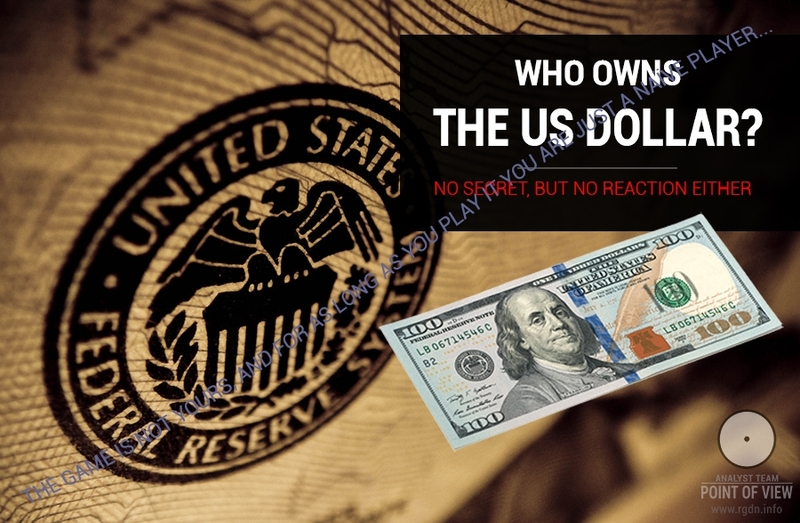 Who owns the US dollar? 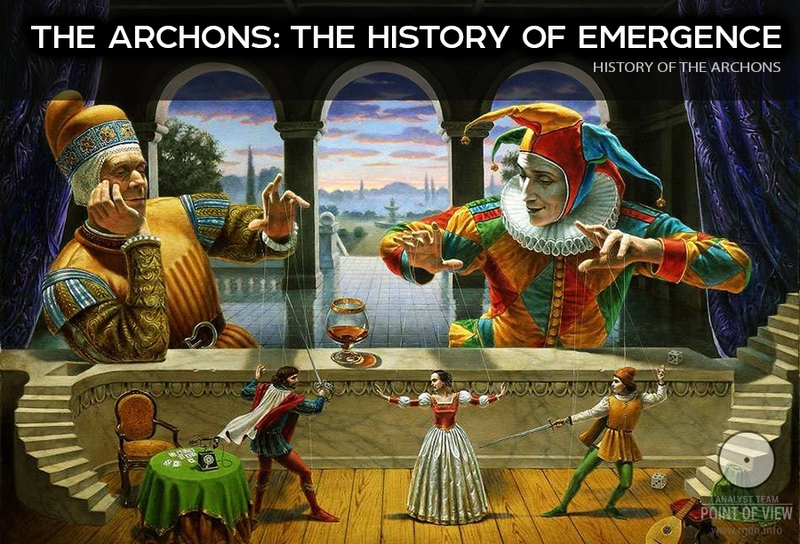 In the earlier article The Archons: the history of emergence we discussed the origin of such phenomenon as the Archons (translated from Greek as “the rulers of the world”) or, to put it more understandably, the secret masters of money. In the same article we considered the Archons’ goals and sense of existence, the facts evidencing their violent activities, and some obvious results of those activities for our entire civilization. 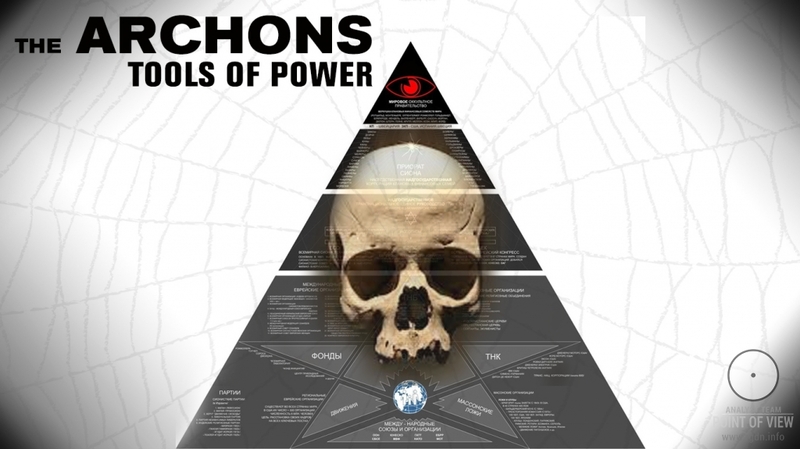 Our next article represents an attempt to substantially look into the Archons’ tools of power, by means of which they endeavour to implement their world supremacy plans, i.e. to enslave us, dear readers, once and for all. Who am I, and what do I live for? What does our world represent? Where did human beings appear on planet Earth from? What is the sense of my existence? Why does every human generation strive for happiness, while the world becomes further crueller and more inhuman? I believe every reader has asked oneself such questions at least once in the lifetime, whereas many truth seekers are concerned with them still today. So, what is wrong? Why is it so difficult in our world to find answers to these questions, so simple and natural for a rational person? The Archons. Who are they, the material world masters? Myths or reality? Who are archons? Who secretly rules the material world? No modern encyclopaedia or handbook would give you an answer to this question. It’s a sealed secret which ordinary people are unable to unveil so far. Who plans and arranges wars, revolutions, coup d'états? Who regulates price and exchange rate fluctuations? Who prints banknotes and owns the entire global financial system? 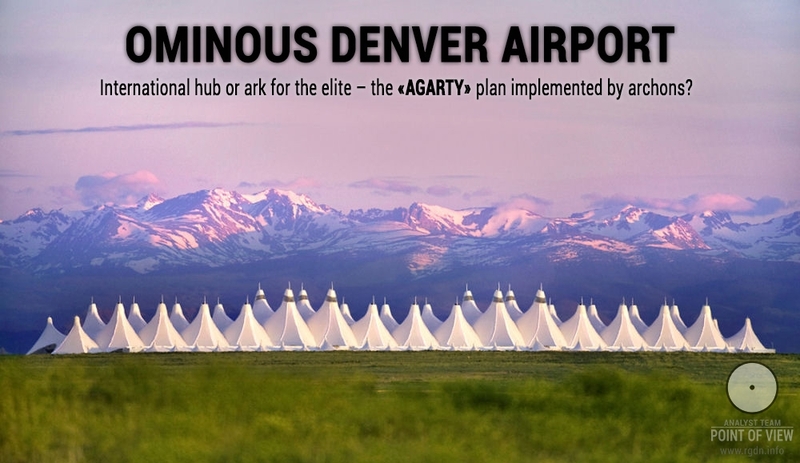 Denver Airport (Colorado, USA): international hub or ark for the “elite”? In February 1995 the construction of Denver International Airport (DIA) was completed, which became the largest airport in the USA and second largest in the world (!). Its official cost made up 4.8 billion US dollars! What is known today about this interesting and very “unusual” facility? So, it’s the largest airport in the USA by the occupied area (140 km²). It was constructed in the same district as StapletonInternationalAirport (now defunct), which is quite strange, for one big airport was totally enough for this district. It turns out that the largest US airport was built in ColoradoState that is the 8th largest state by area, 22nd by population and 11th by the GDP. Moreover, let’s mention once again the construction was initiated despite the existence and normal operation of Stapleton!